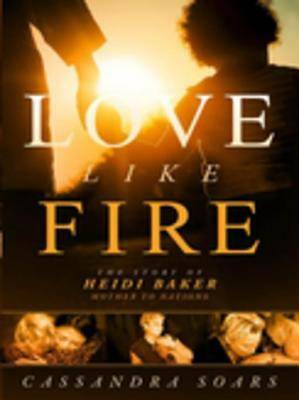 Love Like Fire is a timely, inspiring story of a modern-day Mother Teresa who embodies self-sacrifice and love. Amidst her passionate humanitarian work in Mozambique, Heidi Baker's husband contracted cerebral malaria and soon after was diagnosed with dementia, the doctors giving him a death sentence. Heidi and her husband founded IRIS Ministries, a nonprofit Christian ministry. It has expanded to include well drilling, free health clinics that service the poor and sick, feeding programs, primary and secondary schools, and now over five thousand churches in Mozambique and more than ten thousand churches in over twenty nations. The Bakers have been listed among the most influential leaders in world Pentecostalism.